Working in an office block you may be well familiar with fire drills – the sounds of the alarms and the (sometimes) long trudge down the fire stairs. Children at Guardian centres within office blocks also take part in regular fire drills to ensure they are safe and familiar with the procedures. 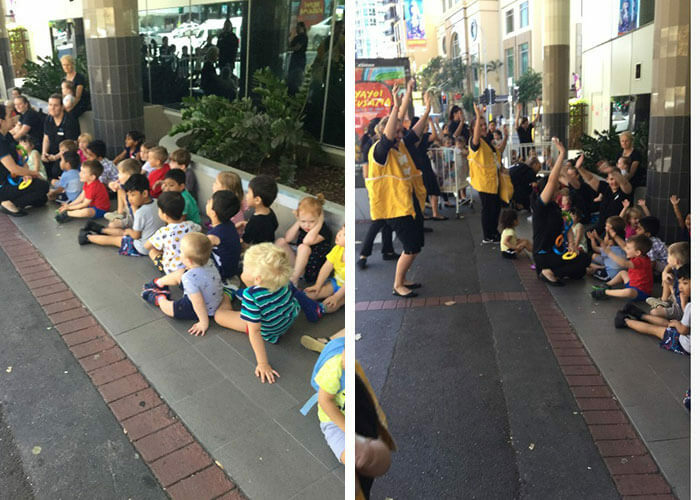 Guardian Early Learning Centre – Queen Street and Charlotte Street are two childcare centres in Brisbane who have their fire drill procedures down pat. Theo from Charlotte Street shows us the ropes. 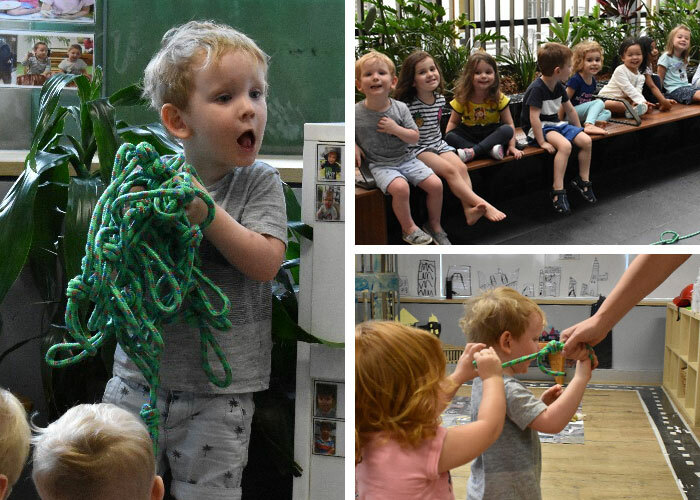 Queen Street’s Centre Manager Emily Pettett says the centre has monthly fire drills with one large one every year that’s organised by the building management – and it’s something the children enjoy! “The children respond with great excitement and know the process and expectation of the fire evacuation,” comments Emily. The children from Charlotte Street learn everything down to how to hold onto the rope safely. Depending on the age of children they are either carried, walked or guided along in evacuation cots or evacuation ropes down the external stairs. Emily states there is a roll call at each stage of the evacuation to ensure that all children are accounted for and also have one extra educator over ratio at all times to assist with this process. “We talk about the importance of listening to instruction, the safety of themselves and others, and the important role that emergency services play in these situations,” comments Queen Street’s Emily. At Charlotte Street they, break the procedure down into ‘chunks’ to aid in children’s understanding of the process. “It’s really important for children to feel confident and safe. This begins with giving them an understanding of the evacuation plan and general safety, but must also ensure they are prepared for the full sensory experience of a potential emergency. We listen to the alarms and talk about why they are so loud. We talk about what we might see if the whole building is evacuation, we talk about what it might feel like if we or others around us are rushed and how to understand, regulate and respond to that,” says Pip. Children at Guardian Queen Street during one of their fire drills. Safety is embedded in daily life at both centres. 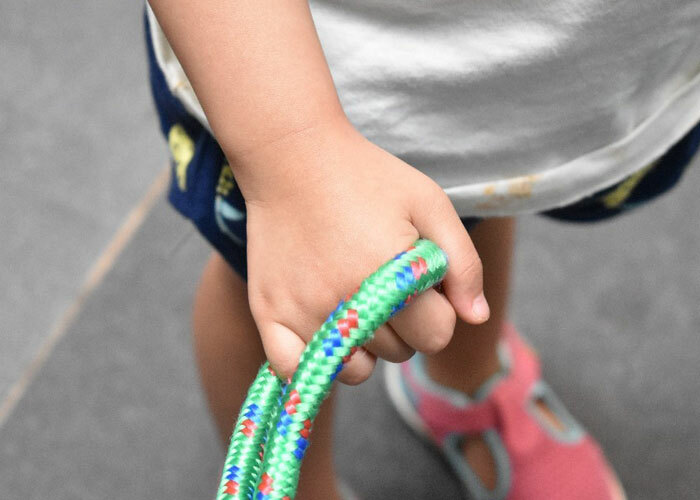 Whether it’s through talking about street and public transport safety, how to find help when in need or visits from the police or fire department, our Guardian childcare centres in Brisbane are highly proficient in their safety standards. Discover Guardian Early Learning Centre – Queen Street and Guardian Early Learning Centre – Charlotte Street for yourself. Book in for a tour via our online form today.